On June 7, 2014, actor and comedian Tracy Morgan was severely injured in a devastating accident while traveling with friends in a limousine bus along the New Jersey Turnpike. One man was killed and several other passengers were injured. Morgan suffered multiple injuries, with the most critical being a traumatic brain injury (TBI). Morgan sued for damages and recently settled his case. Aside from being physically devastating, TBIs typically result in exorbitant medical bills, including extensive rehabilitation treatments. Moreover, in cases where people have been seriously injured, a financial payout is the only option available to best serve as a form of compensation for the injuries suffered. Morgan’s case is just one high-profile example of an unfortunate and life altering accident and injury that can happen to anyone. 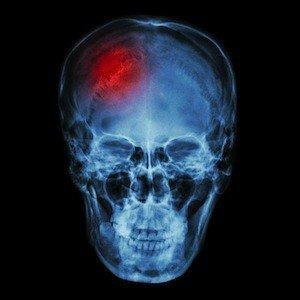 Several types of accidents can result in head injuries, some severe enough to cause traumatic brain injury. Advances in medical technology have opened more doors for recovery, but this process comes with a hefty price tag that is not always covered by health insurance. The costs are greatest with injuries that require long-term treatment and a rehabilitation period. Because more doctors are regarding the body and mind as fundamentally integrated, victims of TBI may require a large team of health care workers, including specialists. Specialized care can include physical, occupational, and recreational therapists, as well as speech pathologists, neurologists, psychiatrists, vocational counselors, and social workers. For each specialist involved, the cost for care continues to rise. Depending on the severity, an individual could potentially spend one million dollars over the course of his or her rehabilitation. This amount comes in addition to medical costs for immediate treatment following an accident such as hospitalization and surgery. If you or a family member has suffered a traumatic brain injury or other catastrophic injury, you may be entitled to compensation. Please contact Richard H. Raphael, Attorney at Law, an experienced Westport personal injury attorney, to discuss your case today. There has been much media attention over the number of athletes who have suffered permanent damage caused by traumatic brain injuries (TBI), such as multiple concussions, particularly for athletes who participate in football and hockey. The long-term and permanent damage that is reportedly caused by TBIs includes a decline in cognitive abilities, early onset Alzheimer’s, and chronic traumatic encephalopathy (CTE). CTE is a progressive degenerative disease of the brain tissue. Originally, the media attention began because of the number of professional athletes who suffered devastating effects from TBIs. However, over the past several years, a focus has been placed on the number of incidents of TBIs suffered by younger victims, especially teenagers, who are involved school or recreational sports. According to national statistics, there are 1.7 million documented victims who suffer from some type of traumatic brain injury every year in this country. Various studies state the estimate is too low and that the actual number of victims every year is just under 4 million. The number of adolescents and children who receive TBI’s in sports-related accidents is approximately 173,285. Contrary to what many people may think, the majority of those injuries may not occur in actual games against opponents, but instead during practice with a victim’s own teammates. A new study was conducted by Datalys Center for Sports Injury Research and Prevention Inc., utilizing data supplied by the National Athletic Treatment, Injury and Outcomes Network, the National Collegiate Athletic Association Injury Surveillance Program, and the Youth Football Surveillance System. The researchers discovered that of the 20,000 who were injured playing football during the 2012-2013 season, more than half—57 percent—received those injuries during a practice session. There were 1,198 injured players who were diagnosed with concussions during the season, accounting for almost 10 percent of the total injuries received. Twenty-two percent were playing college football, 66 percent were involved in high school football, and 12 percent were playing youth football. Researchers point out that this study should serve as a reminder to coaches and others involved in overseeing sports programs of the importance of implementing safety guidelines, even for practices. If your child has been injured in a sports-related accident, contact an experienced Westport personal injury attorney to find out what legal recourse you may have against the negligent party.